It’s been a wild few months in gaming, and the backlash against wildly overpriced distribution models seems to be in full swing, with loot-boxes taking an enormous PR hammering, to the point where even giants like EA have had to back down and rethink things. Despite fresh (although potentially mis-translated) reports that CD Projekt were looking into pushing towards a games-as-service model to support intergated multiplayer in their upcoming RPG Cyberpunk 2077, a tweet from the company today in response to youtube channel Pretty Good Gaming seems set to lay some fears to rest. We’ve got a good long ways to go until Cyberpunk 2077 releases – maybe not until 2019 or beyond. Good thing we’re drowning in amazing RPGs. It’ll probably take you until then to play all of the past few years’ best. Reassuring words for sure, although I’d recommend against running out to revel in the streets at this early point. 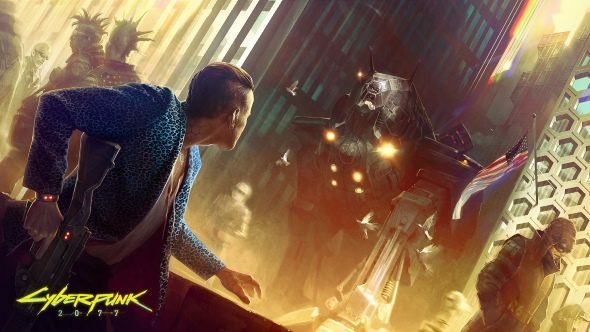 Cyberpunk 2077 is set to be CD Projekt RED’s biggest undertaking by far, and a lot can change over the course of a 4+ year development cycle. Given the close proximity between this tweet and recent contradictory reports, there’s still some question as to whether the game will have an integrated online component or not. Still, it’s nice to see CD Projekt trying to head things off at the pass, and demonstrate a little personal responsibility (geddit?) when everyone else is passing the buck. The company has developed a relatively well-earned reputation for their straightforward honesty across both their RED development arm, and the more central publishing wing of the company that runs GOG.com. There’s no reason to believe that they’re openly lying about Cyberpunk 2077 being a traditional solo-player open-world RPG, but there may be nuances at work here that can’t be crammed into a single tweet, even a 280-character one.